Am I A Good Candidate For Dental Implants In Ken Caryl? You’re embarrassed, but it’s ok to admit it – you have a missing tooth and the blank spot in your smile not only affects your self-confidence, it negatively impacts other teeth as well. You’re young though, so you don’t want to resign yourself to dentures, but what alternatives do you have? With dental implants in Ken Caryl from Blue Sage Dental, your smile can be radiant again. In this post, Dr. Susan Kutis explains which patients are good candidates for this restorative procedure. Having sufficient jaw tissue to support an implant. Being dedicated to taking excellent care of your remaining teeth. Being in general good health overall. Understanding that the entire process for dental implants usually takes around 3-6 months. Heavy smokers or tobacco users who can’t commit to quitting for the entire process. Younger patients whose jaws are still developing. Patients with alcohol or substance abuse problems. Those suffering from compromised immune systems. Those with connective tissue disease. Are There Any Other Factors To Consider With Dental Implants? You take medications to suppress your immune system, like steroids, for example. And, be aware that if you don’t have enough jaw tissue to support an implant at the beginning of the process, you may need to undergo bone grafting surgery to build up the natural structure of your jaw. Natural appearance than blends right in with existing teeth. Durability and a solution that can last a lifetime. A stationary smile that won’t wiggle or need to be removed at night. In fact, dental implants are such an improvement over other traditional artificial teeth that celebrities like Ed Helms and supermodel Christie Brinkley have them! Now that you know if you’re a good candidate for dental implants, schedule your appointment with Blue Sage Dental for a consultation to begin your journey to your ideal smile today! 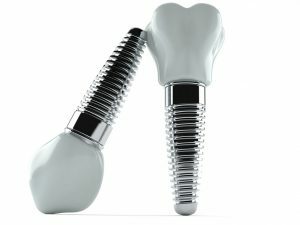 Comments Off on Am I A Good Candidate For Dental Implants In Ken Caryl?